Centre 360 Youth and Family Service is looking for a family counsellor to join our growing family therapy team. Aboriginal and Torres Strait Islander peoples are encouraged to apply. The Centre 360 team is a group of passionate adolescent and family counsellors, who believe in the value and potential of all young people. We are committed to delivering high-quality therapeutic services to young people and their families and value systemic, strengths-based, trauma-informed, and evidence-based approaches to practice. We also emphasise the importance of therapeutic engagement and cultural competence in our work, and believe in the importance of the therapeutic relationship as a vehicle for change. The Centre values flexible and creative ways of working with young people and their families, including outreach. We work to strengthen young people’s connection to their families and communities, enhance their wellbeing and resilience, and to help them achieve positive life outcomes such as good physical and mental health, healthy relationship skills, strong support networks, stable housing, employment, education, and training. The Centre also places great value on its staff. We’re committed to fostering the wellbeing of all team members and offer flexible working hours to support work/life balance. We also believe in social justice and ensure our practices are inclusive of diverse cultures, genders, sexualities, family structures, and belief systems. The Centre cultivates a safe, just, and engaging workplace where professionals can do their best work and grow their skills and knowledge. 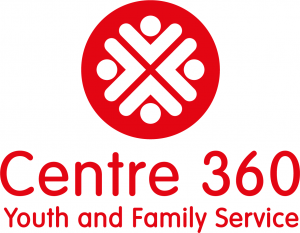 Centre 360 Youth and Family Service (the Centre) is a community-based family and adolescent counselling and support service at Paddington, and is part of St Francis Social Services. The service has been operating since 1978 and has provided individual and family counselling, advocacy, practical assistance, group work and mentoring programs to highly disadvantaged young people aged 12-24 years and their families who either reside in or move through the inner city of Sydney. Adolescent and Family counselling and support: Individual counselling, family therapy, parenting programs and case management, with a focus on early intervention. We use a trauma informed and strengths based approach to our work with all our clients. We also draw on several other therapeutic frameworks, depending on the needs of the individual client and skills of the counsellor, including Attachment Theory, Narrative Therapy, CBT, Mindfulness, Psychodynamic theory, and Family Systemic Therapy. Group Based Programs: a range of therapeutic and psycho-educational groups for adolescents and Tuning Into Teens and Circle of Security for parents. Existing groups are facilitated with a range of external providers, including educational institutions and residential services. Herbert Smith Freehills (HSF) partnership: Young people are partnered with employees from the HSF law firm for group social and recreational mentoring activities. They also receive a scholarship to put towards their education. We often combine counselling with casework, enabling our team to assist young people and their families with their internal needs (mental health) at the same time as improving their relationships in their external world (family, school and community.) We also create a safe, supportive environment or go to places young people and families feel safe, to remove barriers that may prevent young people from attending therapeutic sessions. 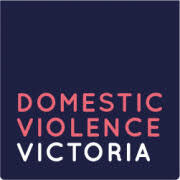 Please quote in application: Family Counsellor Part Time via Pro Bono Australia.